The hottest time of a year is coming. However, the heat cannot prevent the footsteps of people who deeply love the traveling. When you are thinking of China tour, what would come to your mind first? I believe it must be some famous landmarks of China, like the Great Wall in Beijing, the Terracotta Warriors in Xi'an, the Bund in Shanghai, etc. But beyond them, your lens can catch more amazing scenes when you stroll inside this unbelievable land. Here are 9 beautiful places to visit China in August recommended for you. Hope you can have a cool, refreshing and interesting trip. Lugu Lake, located in Yunnan Province, is 300 kilometers away from Lijiang County. It is an alpine lake known for its stunning scenery and unique Mosuo culture. Surrounded by high mountains, Lugu Lake is idyllic beautiful. The water is clear and clean and it is home to many kind of birds. You will have a desire to take a boat ride on the lake. Everything here is peaceful and beautiful. You can just relax and slow down here. Because of the isolation from the outside world, the Mosuo people have retained their ancient traditions and customs. So you can pay a home visit to a Mosuo family, or take part in a campfire party, which is still a good way to relate to local people and to experience their way of life. Hulunbuir Grassland, located in the northeast of Inner Mongolia, is known as the “most clean and green grassland” in China. It features the beautiful scenery of vast grassland, forests, rivers and lakes, as well as the unique custom of the Mongolian ethnic group. 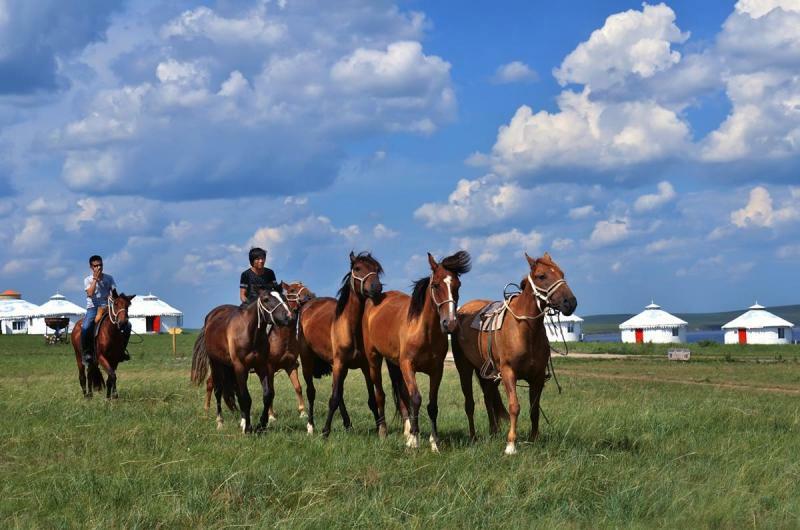 While you are riding a horse under the clean blue sky, enjoying the breathtaking scenery, or taking part in various interesting activities, you will feel this place is a world of pure beauty and fun. Libo is a county of Guizhou. It is an ethnic minority mountain region of Shui, Yao, Miao, Han, Yao and Buyi. It will be great fun to experience minority ethic customs. Besides, the thick forest, the unique karst landscapes, the peace and quiet atmosphere of the county, clean and cool lakes and waterfalls... All of these will make you linger. And Libo is the paradise of lavender. In August, the lavender is in full bloom. Seeing a field of lavender in bloom is a sight you will never forget. Shanggri-La in Yunnan Province is known as “the first place shone by the sun and the moon”. The sky here is crystal clear, the air is fresh, and colourful peoples of dozens of different ethnic minorities, and extraordinary biodiversity make it so attractive. It has vast mountain grassland pastures, snow-capped mountains, cattle and sheep flocks... Everything is full of rich Tibetan culture atmosphere. This is the holy land of religions, and heaven on earth. If you would like to go hiking, Tiger Leaping Gorge and Yubeng are your best choices. 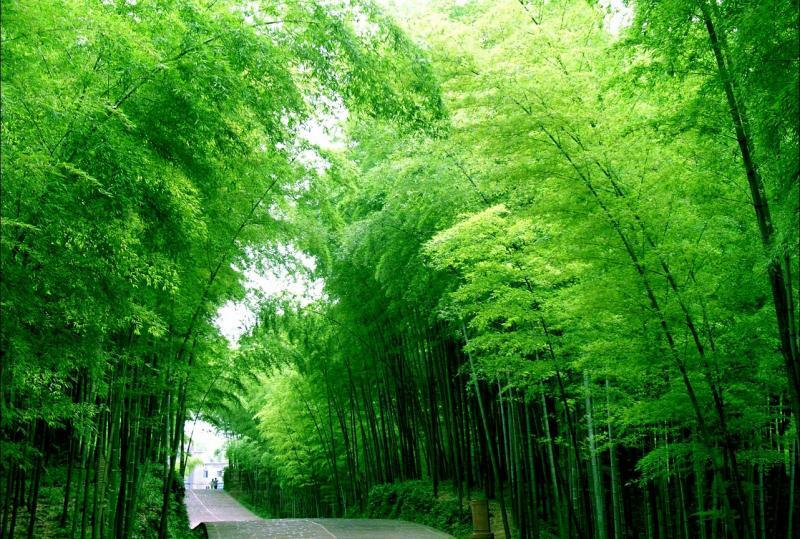 The Shunan Bamboo Sea is located in Yibin City, southwestern Sichuan. It has a total of 427 bamboo species. The area is more than 7 million acres, the vegetation coverage has reached 87%, which make it as a natural oxygen bar with high air anion content. August is the best time to visit. Apart from the beautiful bamboos, there are also many gorgeous natural attractions in the Bamboo Sea. For example, you can choose to spend your leisure time enjoying the splendid waterfall, boating on the elegant lakes, exploring the mysterious caves, or visit the museums and the ancient villages nearby, and experience the rich local culture. The most unique thing is the food here. You can enjoy some special snacks in the bamboo sea, such as the Bamboo Cake, which is wrapped with bamboo leaves and served, so you can feel the scent of bamboo when you put it into your mouth. The other one is highly advisable to taste - the Feast for Panda, because they are only served in the Shunan Bamboo Sea. 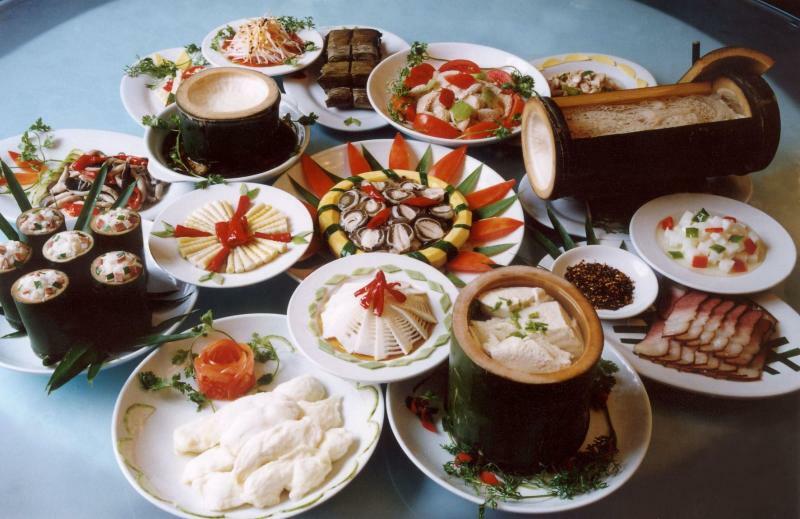 All the dishes in the feast were made by bamboos or mushrooms grown on bamboos. Zhoushan Islands lie in the northeast of Zhejiang province. It is said to be the largest islands along China's coastline. The scenery here is so beautiful and the climate is very pleasant. The fascinating islands are steep and rugged, which are well connected with the spectacular sea. 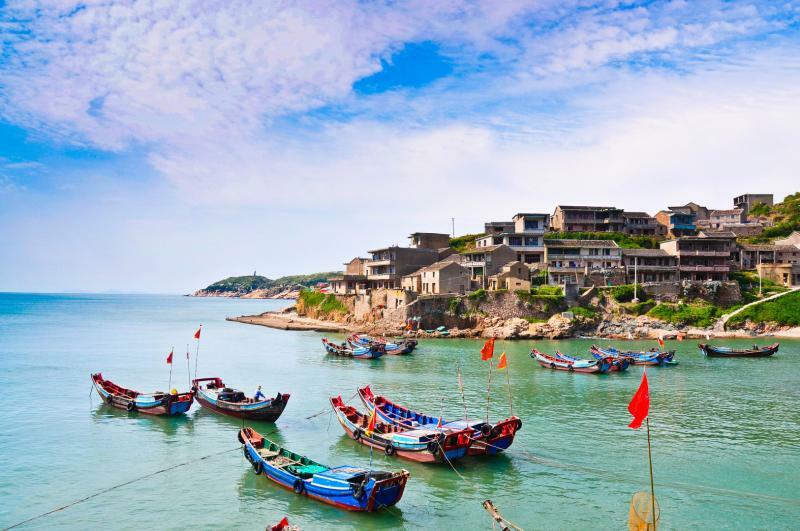 What’s more, it is not only regarded as “Buddhist Paradise on the Sea”, but also well known for its fishery. So, while you are admiring the amazing landscapes about sea, mountains, stones, rocks, holes, temples, flowers, forest, birds, military sites, historical memorially, moya carved stone, myths and legends, etc., you can also enjoy a delicious seafood feast! 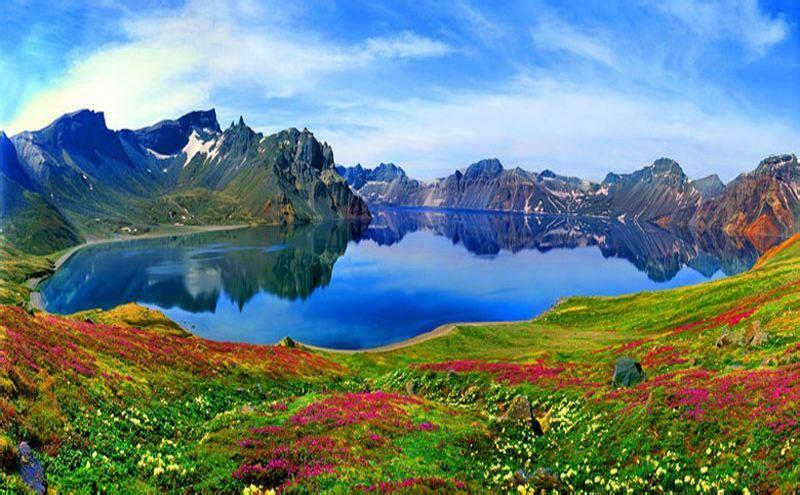 Changbai Mountain’s “Heaven Lake” in Jilin Province is a lake that straddles the border between China and North Korea, which is 2,150 meters above sea-level. That is why it been called “Heaven Lake”. It is just like a jewel in the crown of thorns surrounded by 16 huge jagged peaks. The volcanic stones leech into the water creating a striking blue, which is so amazing. Especially August to September is the ideal time to visit here, due to the relatively little fog, the opportunity for a clear glimpse of Heaven Lake is larger. 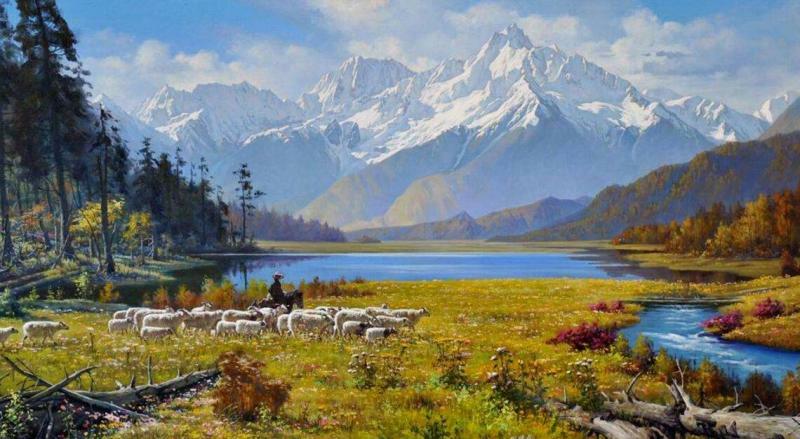 What’s more, you can see beautiful high tundra landscapes and appreciate birds and flowers during this perfect time. 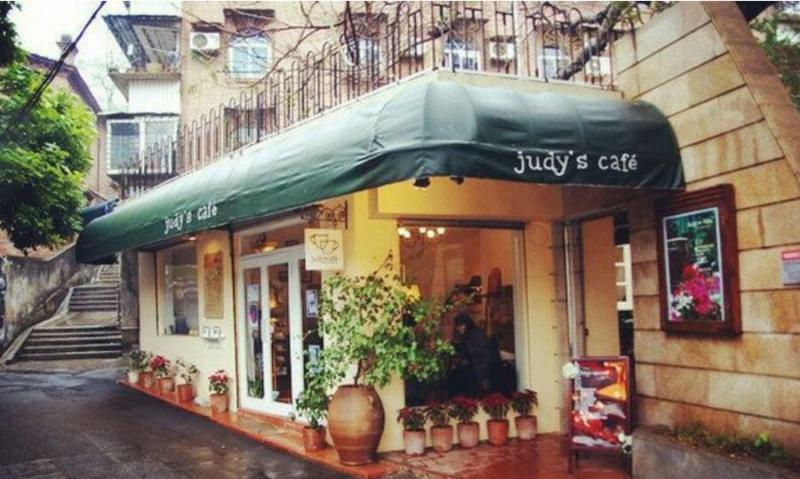 Gulangyu Island is located in the southwest of Xiamen City. It is famous for its natural beauty, colonial style architecture and various of interesting museums. When the tide comes in, the waves pound the reef and it sounds like the beating of a drum, which is so delightful. Here, you can do some beach water sports, go shopping, visit museums, or view dazzling ocean inspired sunrises. Tiantai Mountain is located in Qionglai (Chengdu, Sichuan Province). You can see fantastic plants and rocks everywhere. 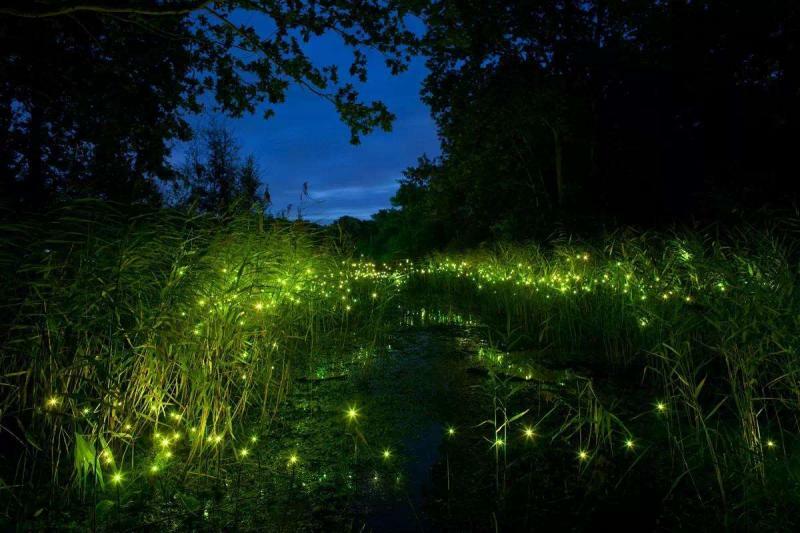 If you are lucky, you will encounter a considerable amount of fireflies and butterflies, which is quite spectacular. 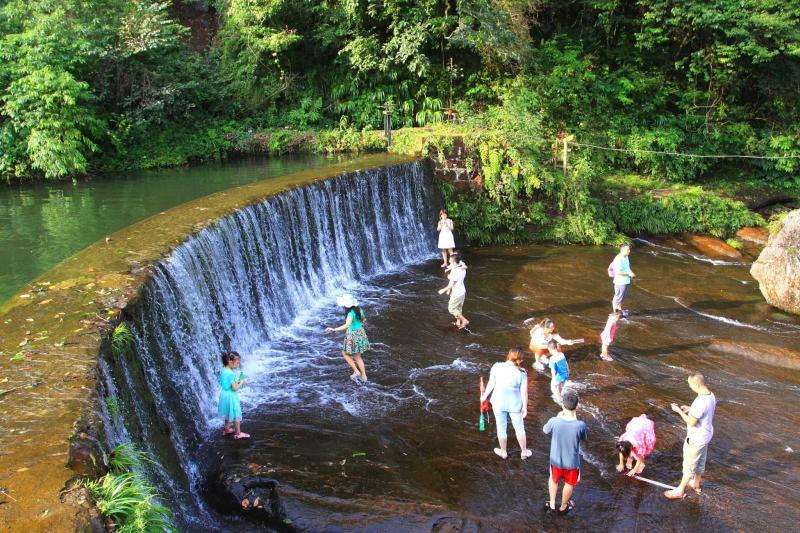 Besides, “Playing with water on high mountains” is the special tourism brand of Tiantai Mountain. 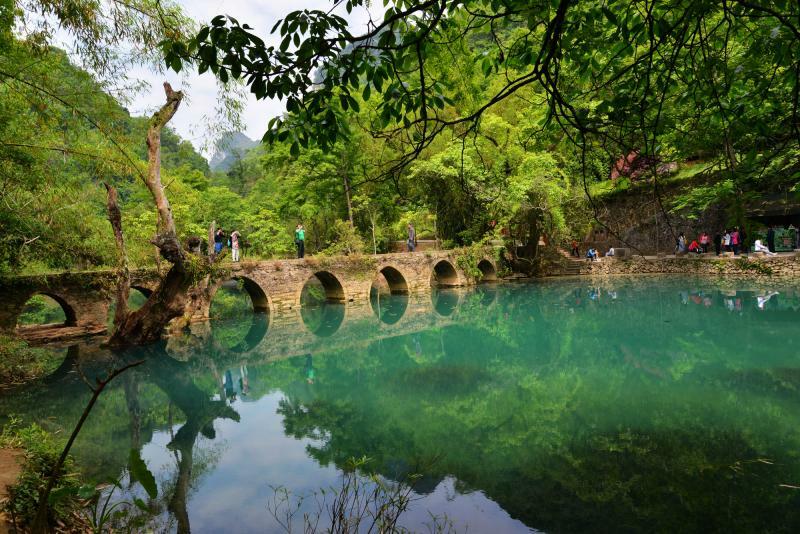 There are more than 10 tourist activities closely related to water in spots, such as 18-li (9000 meter) Vanilla Valley, Small Jiuzhaigou and Mottled Stone Sea. If you are interested in any of these scenic spots, we can add it onto your itinerary. If the above tours are not quite what you are looking for, we can also tailor-make a tour for you according to your preferences.